This summer, amid beach days and a bit too much Rosé, we’ve started to explore different “off the beaten track” areas in our region… on foot. In my city-days, I was never much of a walker. Besides rushing down the street to grab my morning cup o’ Joe at Starbucks in sunny SoCal, or shuffling from one English lesson to another in the bustling center of Rome, walking was simply a way to get from point A to point B… sometimes hauling a ridiculous amount of grammar books behind me. But since our move to Provence, that’s all changed. It’s difficult not to feel motivated to go outside and get moving in such a beautiful place. Even 10 minutes from our home, there are a series of seaside walks that literally take your breath away. Makes burning off those extra pain au chocolats a whole lot easier. 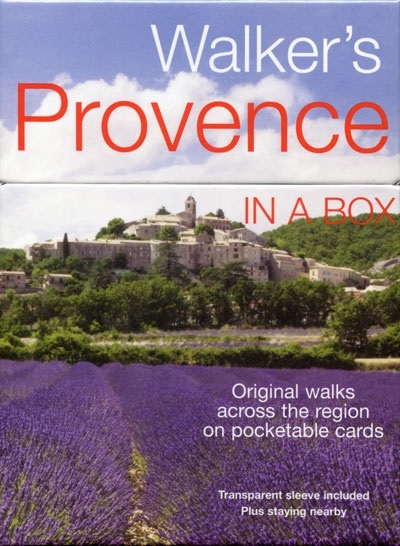 So I was totally jazzed when the folks who publish Walker’s Provence (in a box) contacted me about writing a review for their walking guide that comes in, you guessed it, a box. Inside the box you’ll find 35 walks that cover everything from cruising alongside “fisherman, flamingos, and near-wild horses” in the Camargue (walk #1), to skirting along the famous Calanques of Cassis (walk #15) – the “limestone cliffs that tower above the Mediterranean in a spectacular display of pink and white stone”. All of the walks are contained on laminated cards and each card features 1) the difficulty of the walk (easy/moderate/strenuous), 2) the distance, and 3) places to stay nearby. Each card gives a detailed itinerary and map, highlighting points of interest along the way. And there are also pretty snapshots of Provence to get you motivated to slip on those walking shoes. All and all, a very well-designed and accessible guide for walkers of every interest and ability. I’ve already got three of my must-do walks picked out…Vacqueyras Vineyards (did someone say wine + pretty villages? ), Le Tholonet (walking in the “footsteps of Cezanne”), and Antibes (through the “heart of the millonaires’ playground of Juan-les-Pins”… I’m a sucker for Riviera glamour). 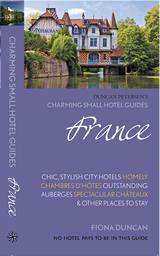 Walker’s Provence is published by Duncan Petersen Publishing (in collaboration with Charming Small Hotels) who publish a series of guide books called Charming Small Hotel Guides (which also include various walking and cycling guides). 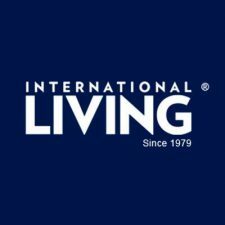 They are 100% independent and focus on “slow, authentic, non-tourist-package travel” – love this philosophy! You can find more of their guides via their website and also catch-up with the latest in slow travel on their Facebook page or follow them on Twitter. To enter to win a copy of Walker’s Provence, please leave a comment telling us your favorite place to go walking – of course I would love for it to be in Provence, but it can be anywhere you like! One winner will be chosen randomly using random.org. Click on “replies” at the top of the post (under the title), then scroll down to the bottom to leave your comment. Deadline to enter: Thursday, August 22, 2013. My favorite place was walking through the market in Carpentras!! My favorite walk in Provence would have to be….through a lavender field in the month of July! Second best would be from my friend Anna’s house to her little village market. My favorite area to hike or walk in Provence is in the Luberon Mountain area near Bonnieux. I love Yellowstone National Park! My favorite walk/hike this summer was at Artists’ Paint Pots. We were able to hike in June when the wildflowers were in bloom. Gorgeous! I don’t have a favorite walk in Provence…that’s why I need to win the book!! I live here in the Lot department where walking paths abound, so I’ll pick my favorite one here…off the tiny D82 at Mas de Pegourie to the dolmen andsweeping views of the causse, then back to the car on the GR 65 marked by the scallop shells of pilgrims journeying to Santiago de Compostella. My favourite walk in Provence is after a fabulous 3 hour picnic at the top of Domaine de Piaugier and then walking through the vineyards on the small country tracks from Sablet to Séguret. Stunning backdrops of the Dentelles de Montmirail, Sablet cascading down it’s hill and delicious Séguret everywhere you look. It’s freezing right now in Melbourne Australia and I’ll be doing said walk and picnic exactly 3 weeks today. Oh la la, can’t come soon enough! We walked part of the new GR2013 last week, just one of the many walks we’ve enjoyed in Provence – would love to win the box and do ALL the walks! My favourite walk is from Villefranche-sur-Mer to St Jean Cap Ferrat – that beautiful peninsual between Nice and Monaco. It takes in a walk beside the beach, along some lanes and then beside the Mediterranean along a coastal path called Promenade Maurice Rouvier. The sea is literally feet away and the views are fabulous. Eventually, you will arrive in St Jean where there are cafes and restaurants. There are further coastal walks from here. Most of all I like walk by river Aura, here in Turku (Finland) where I was born and has been living ever since ( over 50 years). But I’m a huge fan of Provence/France and I have had many nice walks there with my husband on our holidays. This year, in June, we were in Sainte-Maxime and we enjoyed walks on the pier and by the seaside. For some reason I prefer to walk by the sea or river. I will have to agree with Nikki and say that our favorite walk in Provence is through the vineyards from Sablet to Seguret and through this Plus Beaux Villages de France and back down the road to Sablet. A nice little circuit with great scenery all the way. Thank you so much for sharing about this guide book. Walking is one of the things that inspires me to create and that helps me to ground and to center. 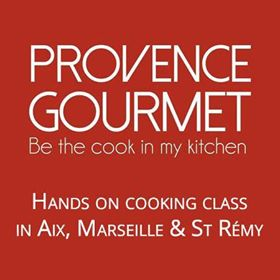 As the chance is getting bigger that we’ll live in Provence too in a couple of months, I would love to win this book. One of my favourite walks in the area (that I don’t know that much today, but hope to explore in detail sooner) is the walk that leads from Aix’s main cathedral to the Terrain des Peintres and goes along Cezanne’s studio. You have a terrific view on the famous Mont Sainte-Victoire and if you go a little bit further than the Terrain des Peintres, you’ll reach a big field with tons of wild orchids where you could have a picnic and/or a little stop. The view is impressive and the path is quite adorable: I can imagine it becoming my Sunday walk if I’d live in the area. My favourite walk in Provence is near Lafare in the Dentelles de Montmirail, indeed close to Seguret, Gigondas, Sablet. Thank you all for your entries and wonderful comments! Evelyn, comment #6, was our winner… another contest coming soon!